Subscriptions cannot be shared. Sharing or other methods which allow for multiple, simultaneous downloads (and thereby affect the performance of this website) are strictly forbidden and may result in termination of your subscription. You may not sub-license, assign, or transfer this license or your subscription to anyone else without prior written consent from CNP Integrations. You may not claim intellectual or exclusive ownership to our product, modified or unmodified. Our products is Copyright (C) of CNP Integrations. The product is provided "as it is" without warranty of any kind, either expressed or implied. 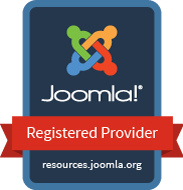 Till now, CNP Integrations products are designed for Joomla 2.5 and 3.0 versions. No guarantee, that the products will run with future versions of Joomla!. During the subscription time, we neither provide any new updates nor any deadlines or development paths for updates. Update deadlines and development paths are for the private use of CNP Integrations only and will not be released to the public unless otherwise stated. However, we will do our best to ensure that our product is up to date and functional. We reserve the right to terminate your service if terms and conditions are violated. In the event of the termination of service, you are free to use our product under the grant of the GNU/GPL license but you will not receive support or updates from CNP Integrations. We give and expect common courtesy during the application of the support policy. Any foul language will not be tolerated, be it from CNP Integrations or from the person requesting the service. The CNP Integrations Terms and Conditions may be updated from time to time and are subject to change at CNP Integrations discretion. Even though these terms and conditions are effective for subscribers only, we reserve the right to apply all or any portion of it to non-subscribers. We follow a reliable refund policy to let our customers feel privileged about their association with us. We provide a 30-Day Money Back Guarantee which provides sufficient time to test CNP Integrations products. Trial Use of our product for 30 days, will assure of our high quality extensions and incase you are not convinced, you can ask for refund, which would be duly processed back for you, no questions asked. Please read the guidelines governing the refund policy. CNP Integrations reserves the right to change Terms and Conditions without any notification in advance. CNP Integrations reserves the right to discontinue or make changes in any section or web page of the website. Such changes shall be effective immediately. The site includes several widely recognized technical and non-technical terms. The site wishes to clarify that it does not hold any proprietary ownership on these terminologies, until and unless specified. It also clarifies that these terms are solely being used for information purpose only. All 3rd Party Business Names, Logo's, Trademarks used in this site are the exclusive property of their respective owners and have been used here just to demonstrate our skill set and/or area of expertise.